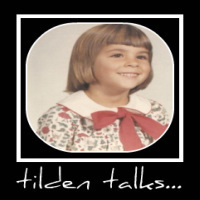 tilden talks...: Grand Shores at Myrtle Beach - Here I Come! My friend Tammy has had a difficult week. While she refuses to give me the details, she has invited me to go on a road trip with her. Being the excellent friend that I am, I asked no questions and graciously accepted her offer. Tam says we leave on Wednesday. We are going to drive to South Carolina and check in at one of the Oceanfront Myrtle Beach Resorts. Tam booked us an ocean view suite, and when we get there, it will be late in the evening. She suggested we settle in and get some sleep because we have a 7am tee time! Neither of us has played a round of golf in ages! This is the best news I've heard in a a long time. I've never been to South Carolina, let alone Myrtle Beach Resorts. I've already checked the weather for next week and it looks like Tam and I will be sunning ourselves on a beautiful beach by Thursday afternoon at the latest. With high temperatures in the high 70's and low 80's, we'll think we've died and gone to heaven. I'm all for that. Since when are you up fo0r high temps? And can I come with you and Tammy? This I want to see! you are more than welcome to join us, we can't pick you up tho...did you notice that i mentioned we would be on the beach in the afternoons? after? noon? also i can manage 75-80 degree days if im on VACATION! see you there!